– After the match,Hype & Devin beatdown Mikey until Jayden Draigo made the save and appeared to fend off the 2 but then blindsided Mikey to the shock of the crowd, joining in on the beat down until Strife & Tony made the save and a Six-Man Challenge was laid down for Strife, Tony & Mikey vs. Gotti Country (Hype, Devin & Draigo) for next month to which they accepted. 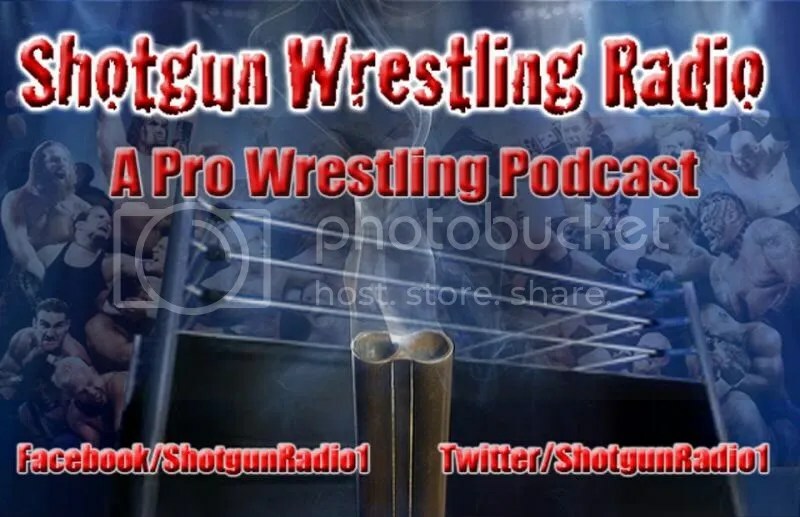 Brian Kelley from Missouri Wrestling Revival is the special guests on Shotgun Wrestling Radio this week. Topics include: MWR Yearbook, 3XWrestling, Impact Pro Wrestling, Magnum Pro Wrestling, Central Empire Wrestling, Pro Wrestling Phoenix and tons more. To Listen in on this interview click here. To purchase the NEW 2012 MWR Yearbook click here. 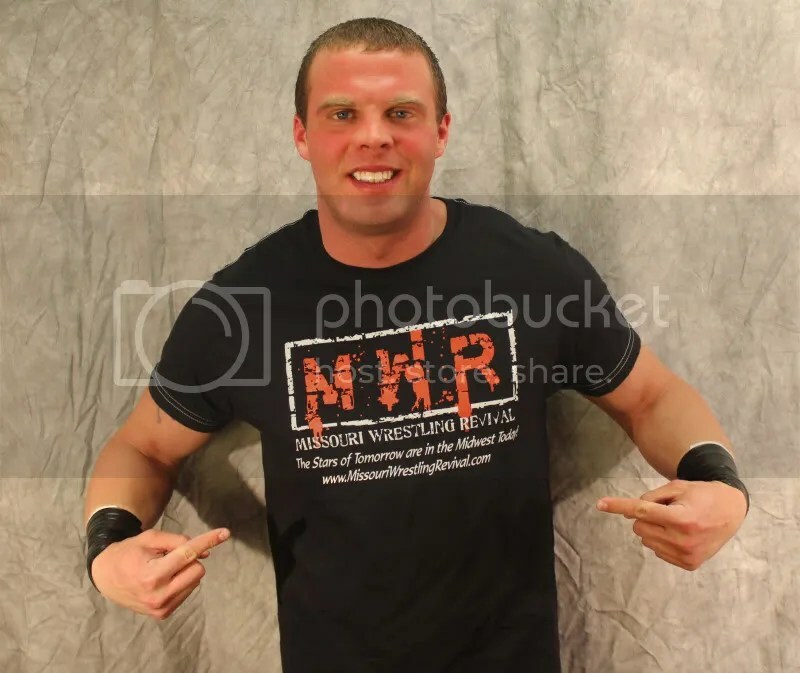 MWR Exclusive: Young wrestlers learn from the best at Magnum Pro Wrestling – Adam Pearce. Though wrestling has changed throughout the years of Frank Gotch to Lou Thesz to Harley Race all the way to John Cena, but one constant has to be is proper training from the best in the sport. Earlier this year I was honored to be a special guest of Magnum Pro Wrestling as the then 4-time NWA Worlds Heavyweight champion Adam Pearce took the time to teach the next generation of wrestling hopefulls. 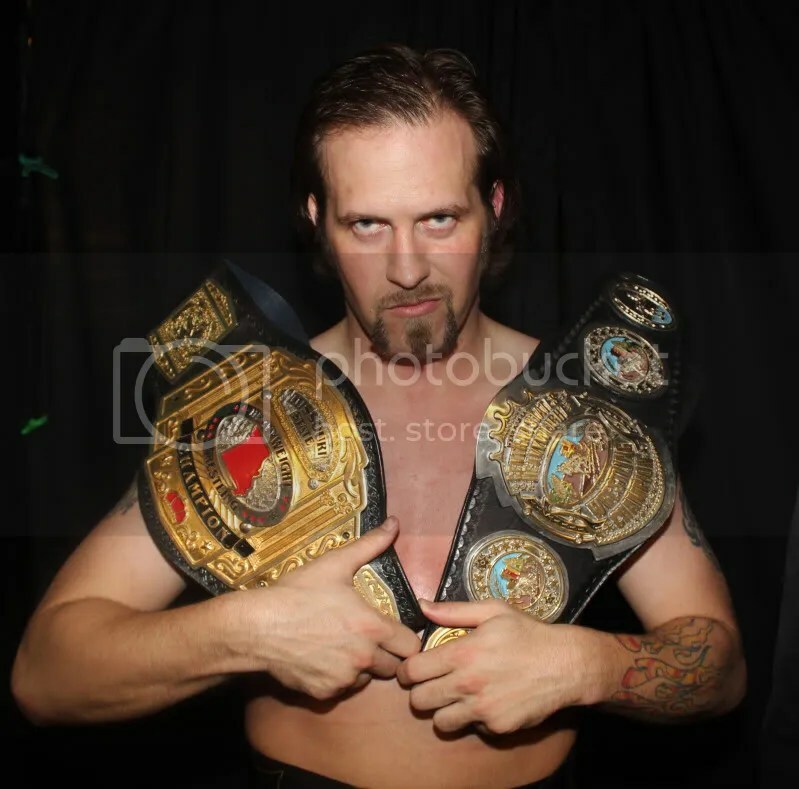 Pearce the night before had just defended the NWA Title in Des Moines, Iowa at 3XWrestling in a classic that looked as if “The Belt Collector” Jeremy Wyatt had become the new champion. 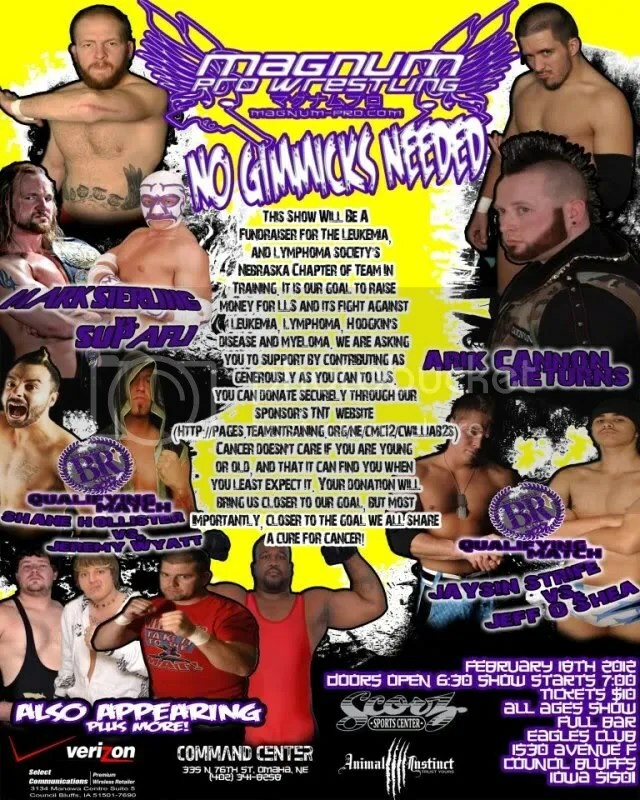 On this day we were in Council Bluffs, Iowa Pearce was set to defend hisn title against “Babyface” Tony Cortez but first he was set to work with nine young wrestlers whom wisely took the time to learn from one of the premier wrestling minds in the game today in a seminar. Pearce with over 15 years of experience in the ring has also been head booker of Ring of Honor while adding 4 NWA World titles to his resume. Each and every time I have seen Pearce in and out the ring, he has carried himself as a Champion. 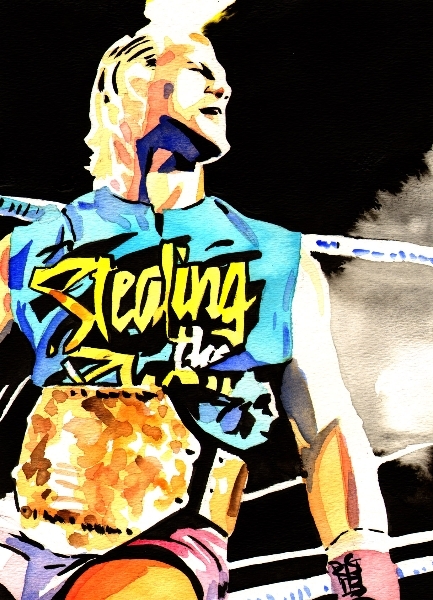 A man who can draw what fans call “HEAT” with the best I have ever seen. Considering that in today’s wrestling it is even harder to draw the fans in with that much emotion due to wrestling perceived to be sports entertainment that’s a HUGE compliment. When I entered the building Pearce had already began the seminar with a few faces that the MWR fans may know such as the Beautiful Bodies Brian Gott and Derek Cornell who has captured gold in the coverage area. Let me say this, I don’t care how many matches you have had in the ring, for the small fee that Pearce and Magnum was offering this seminar, if you weren’t working a show that night then shame on you. I say missed opportunities for you if there ever was one. This look at the seminar is from a non- wrestler and wrestling columnist that could not teach you how to take a bump to save his life but after being invited to cover over 200 plus shows in the Midwest over the last five years I have to say the first word in wrestling is ”safety” . 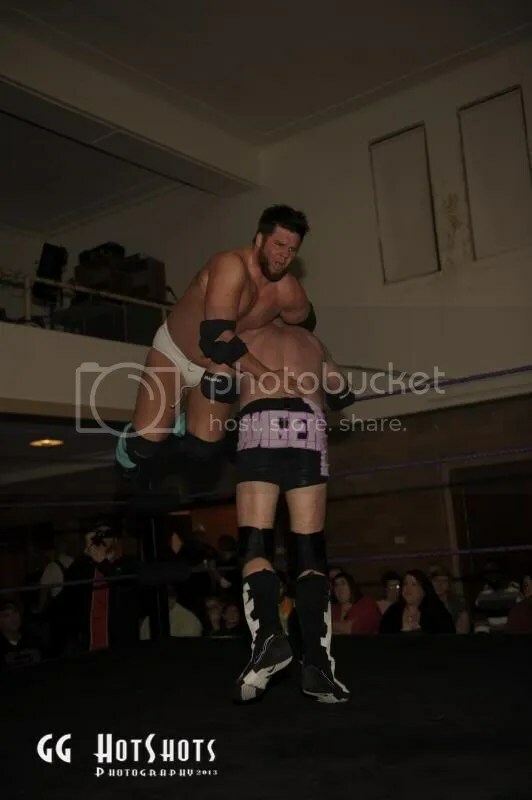 With the skill level of the nine men being so different from a beginner to two men who have been active in promotions around the Midwest Pearce would show that he is capable of working with several different levels of talent. Pearce throughout the camp showed patience with the wrestlers as they made mistakes, when it was time to do a move Pearce asked each one of them if they felt comfortable doing what was asked. Pearce watched them do a lockup, have a mini match, and when needed stopped the action to give his advice. While I have been watching wrestling for 30 plus years it is amazing what the keen eye that Pearce had that I missed when watching the students in action. Soft spoken and caring Pearce not only watched but got in the ring to give hands on advice. As the seminar came to a close, Pearce asked the students if they had any questions. 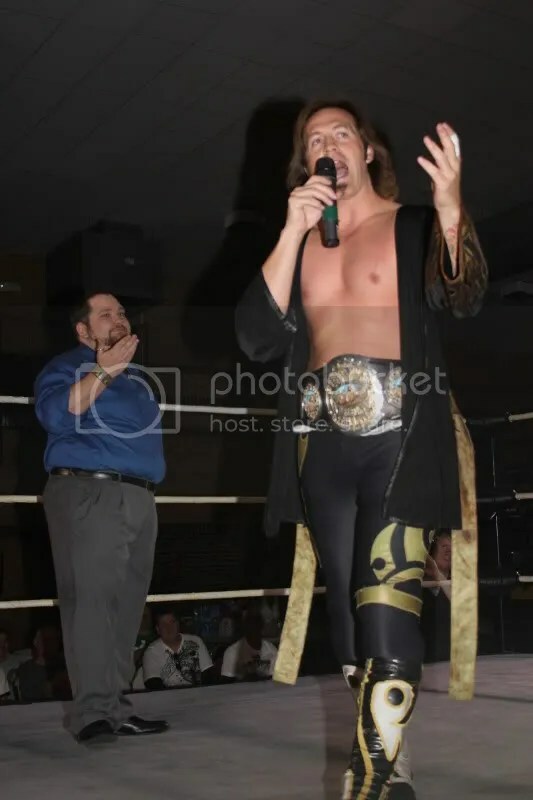 Several were asked and answered by the Champion when one student Pete Sakaris, who has been a friend of MWR since its inception and has also been a ring announcer for Magnum Pro Wrestling asked Pearce about doing proper promos. After a hard day of working on the basics and some very important information on how to keep the fans involved during the matches, the fun was about to begin. Pearce is the type of wrestler that could talk the fans to the matches. It is amazing how good his promo skills truly are. With that Pearce stated that for them to succeed that they would need to not only wrestle but have charisma. The remaining moments he challenged the wrestlers to shoot promos on each other. 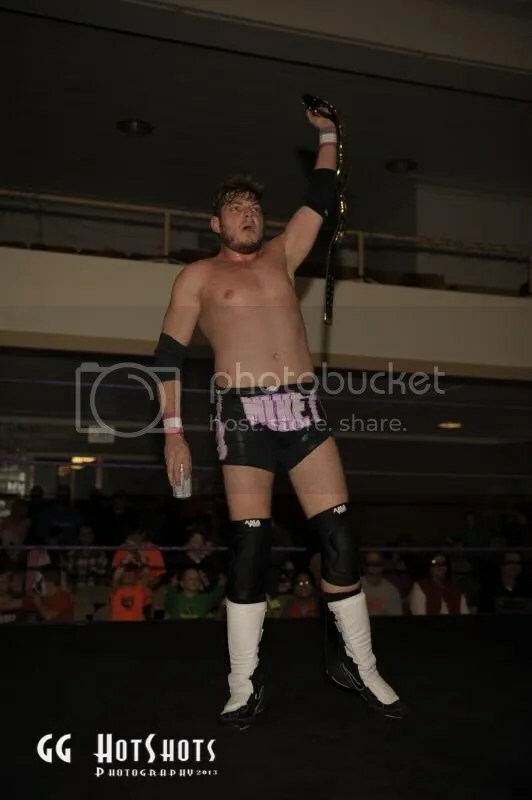 If this would have been American Idol, Pete Sakaris would have been this years winner, with Magnum Pro Wrestling’s and Adam Pearce’s approval I am going to share 3 videos of Pete. The first two is Pete challenging Pearce himself and the third was one that I will never forget, Pearce challenging Pete to shoot on the whole room including the champ himself Pearce , Jaysin Strife and even MWR. After the shoot promos of Pete, Pearce was all smiles. At the end of the day I spoke to each of the trainiees who took part in the Adam Pearce seminar and each and every one of them stated the experience was well worth the time and money. My advice to any wrestler in the Midwest when one of the best wrestlers in the area is giving a seminar, don’t be shy, don’t miss the chance to improve your skills. Your fans will thank you for it. “Babyface” Tony Cortez and NWA World Champion Adam Pearce have a shootout at Magnum Pro Wrestling! Less than 24 hours after Adam Pearce survived an onslaught from “The Belt Collector” Jeremy Wyatt at 3XWrestling in Des Moines, the NWA Worlds Champion made his way to Council Bluffs, Iowa for Magnum Pro Wrestling. His opponent was hometown favorite “Babyface “ Tony Cortez, a man who has been in battles with many of the best in the Midwest. Cortez’s moment that he has been waiting for his whole life had come to that very moment on January 28th, the chance to prove that he was among the very best in the world. From the moment the doors open you could feel the electricity spark from wall to wall, with the ring being the spark that got it going. 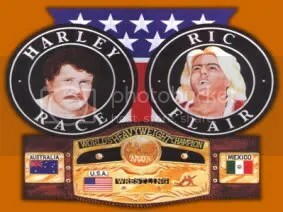 World titles opportunity chances come to wrestlers very few if ever in a wrestler’s career. In the past Cortez has succeeded and survived an epic war games steel cage match, defeated former friend Jayden Draigo, captured wins against the hottest stars of wrestling like Mike Sydal and “The Anarchist” Arik Cannon. Champions have had to beware of the feisty Cortez as he has defeated Hype Gotti and Golden Boy” Vic Victory thus making him the only man to be a two time PWP Champion. 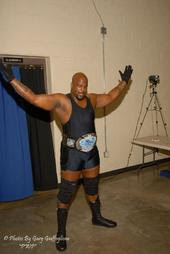 Cortez has also won the PWP tag team championship with the before mentioned Gottie (Simply the Best) in a classic as MWR sponsored the PWP Tag team title match between the Northstar Express (Darin Corbin and Ryan Cruz) on November 21st, 2008. As we walked into the building that night, we had to wonder just how could Cortez keep up with the much favored NWA Worlds Champion Adam Pearce? No doubt the Magnum Pro Wrestling fans were on Cortez’s side. As he entered the ring, the building exploded with cheers. I could see nor feel any doubt from the Magnum pro wrestling’s fans that Cortez was the underdog on this night. 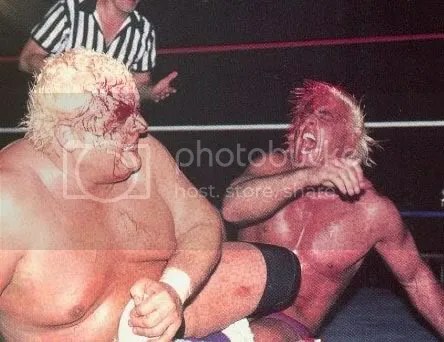 When the NWA Worlds Heavyweight Champion came to the ring with his “ten pounds of gold” he was still all smiles but you could tell that the night before’s defense against Wyatt had him a little bit more focused than normal . After studying hours of tapes of Pearce, I have come to conclusion that no wrestler enjoys taunting the crowd more than Adam Pearce, at first I thought it was a tactic to get under his opponents skin. I am now convinced that just like his rival from the night before Wyatt that he thoroughly enjoys seeing them in total anger. I was beginning to wonder if I would need protection to take photos at ringside the emotions were so hot from the fans in the front row. Before I knew it the action was fast and furious as Cortez strategy was to move forward. From the get go it looked as if he had the right plan as Pearce was reeling from the quickness of the challenger. Like any smart champion Pearce found a way to slow down the momentum of Cortez and the fans mood by grabbing hold of him then taking him down with a headlock. Cortez would fight to get back up once again hitting a belly to back suplex that seemed to have given the challenger the chance to get the pinfall. Any other man that may have been enough but Pearce did not become a 4 –time NWA’S World Champion by not taking a beating. Just as the ref was to hit the 3 count, Pearce’s shoulders came off the mat, keeping the Champion still alive in the match. Back and forth they went, as Cortez turned his back, Pearce rolled him up but Cortez was able to kick out, moments later it was the challenger using his feet on the ropes for extra leverage but Pearce was still too strong. 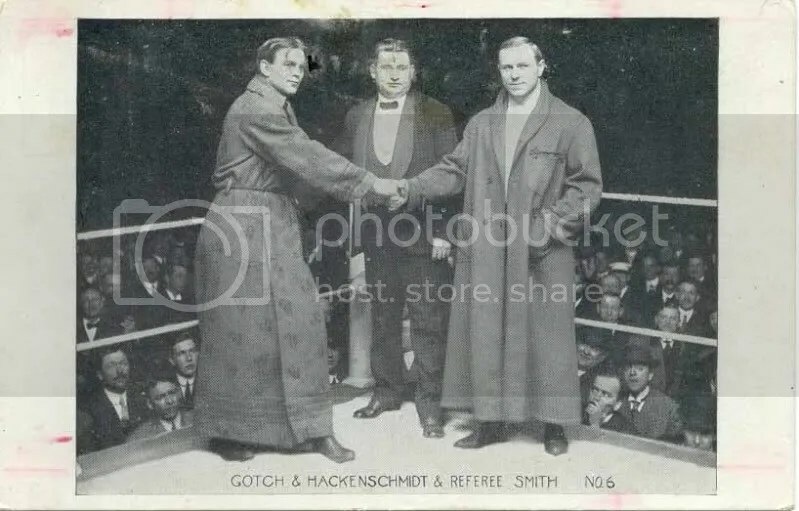 One mistake against Pearce and many of men are done for the night, as was the case with Cortez, when Pearce locked in his pildriver, there was no escape for the hometown favorite. 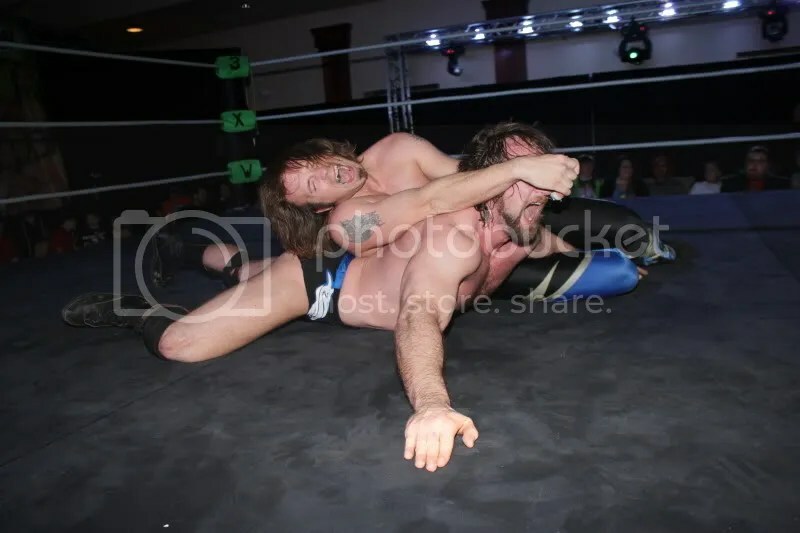 Unlike many wrestlers who try to use the move but are unable to deliver it with enough force to get a win , Pearce knows what he is doing and the crushing blow sent Cortez crashing head first into the mat. Three seconds later, the NWA World Champion Adam Pearce retained his championship and survived the Terror of the Midwest tour weekend against both Jeremy Wyatt and Tony Cortez. The cocky grin was still there on the champ , his eyes were glazed a bit. You could tell he now knew that the Midwest is in fact the “Danger Zone” for his title. 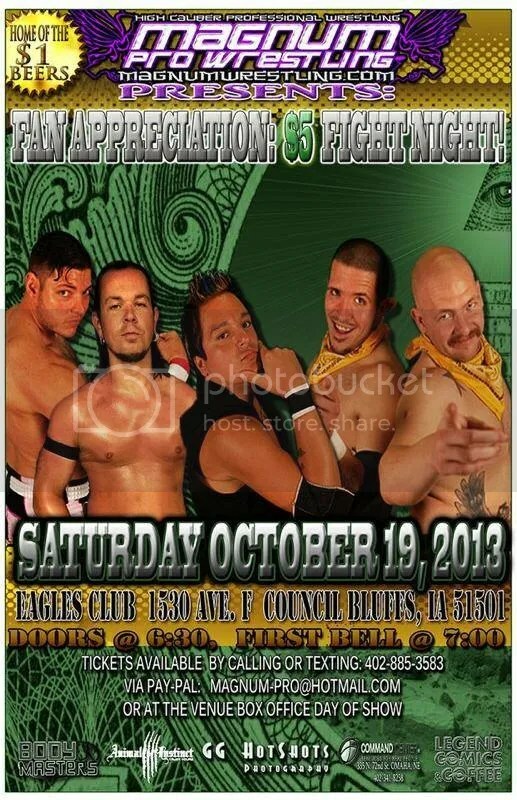 Men like Tony Cortez, Jeremy Wyatt, Michael Strider and Kahagas all have their sights set on “Scrap Iron” Adam Pearce. 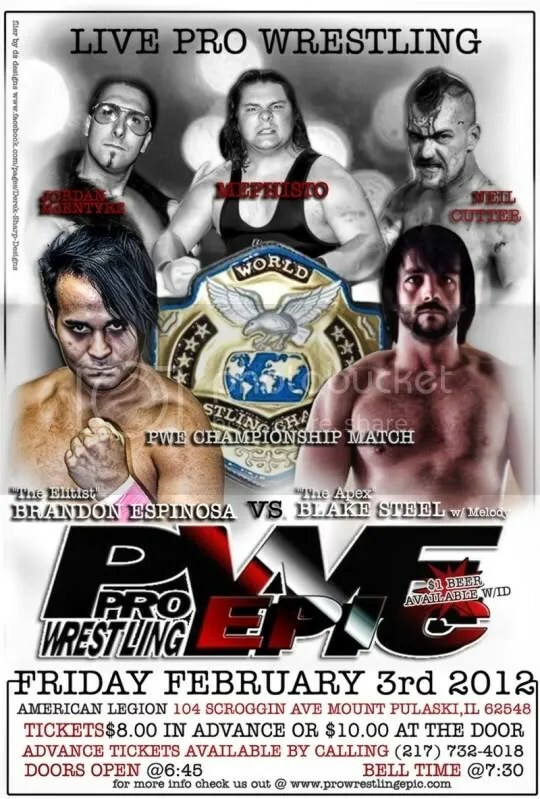 Magnum Pro Wrestling returns next Saturday!! 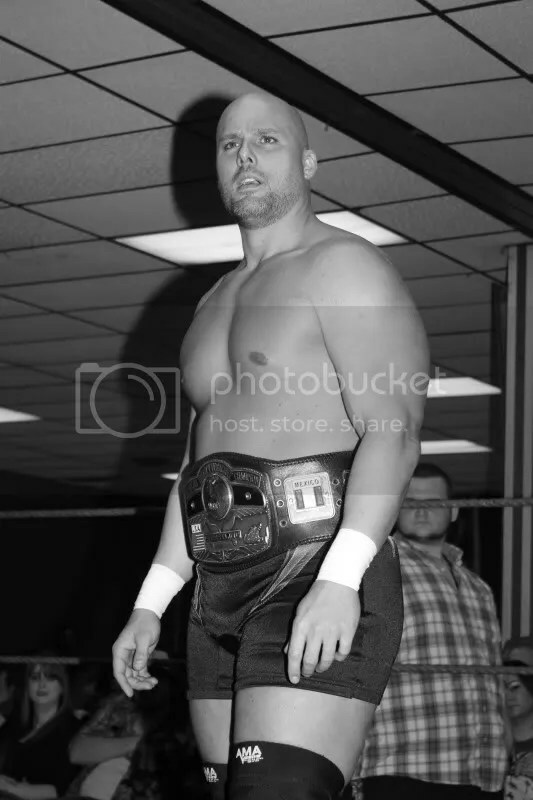 Adam Pearce offers an open contract for the NWA World title in Glen Carbon, Illinois on April 6th!! 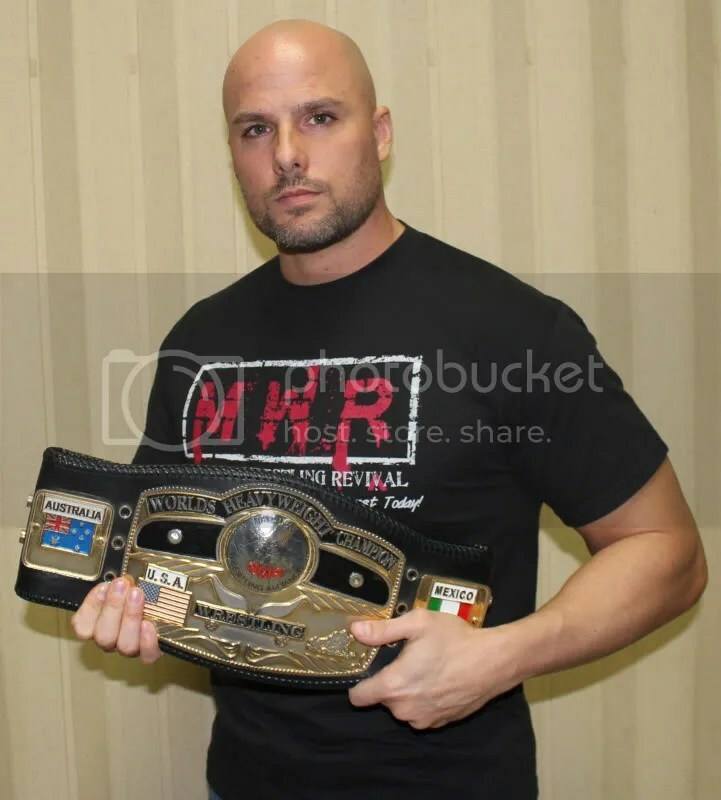 Adam Pearce is a 4-Time and current National Wrestling Alliance Worlds Heavyweight Champion. Missouri Wrestling Revival was on hand once again for an historic weekend in the wrestling as the NWA Worlds Heavyweight champion Adam Pearce defended his title. First it was in Des Moines, Iowa for 3XWrestling as Pearce looked to have lost the prestigious title to “The Belt Collector” Jeremy Wyatt. For more details on the very controversial match click here to see how “Scrap Iron” Adam Pearce was able to leave Des Moines with his belt still around his waist. The next night we traveled to Council Bluffs , Iowa to Magnum Pro Wrestling as hometown favorite “Babyface” Tony Cortez wrestled quite possibly the match of his life as his fans cheered him on. We will have a full recap of the match along with photos of the two warriors in action later this week at MWR. Till then I do have to let you know that Pearce was able to retain the NWA World title, but his trips to the Midwest have been nothing short of near disasters each time. 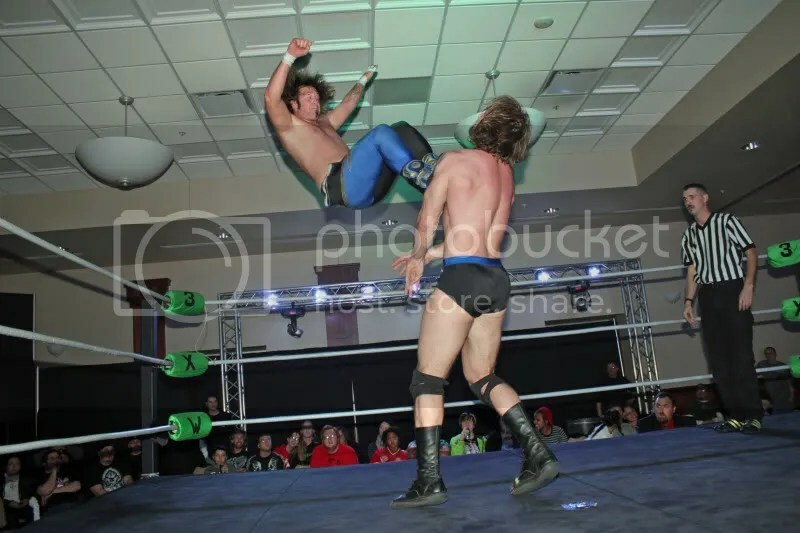 Prior to this weekend he had been to battle not once but twice with the former NWA Central States Champion and Metro Pro Champion Michael Strider. 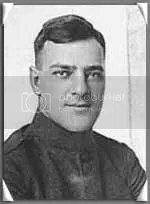 On each occasion, Strider left a lasting impression on the Worlds Champion with a war that the fans in Kansas City is still talking about today. Not since Ric Flair has there been such an active NWA Worlds Champion and Adam Pearce is not backing down from no one. We received this video with a major announcement from the NWA Worlds Champion. 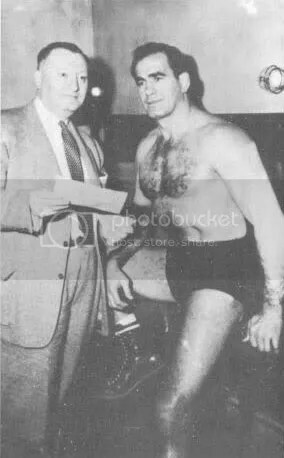 There you have it wrestling fans, the NWA Worlds Championship will be defended in Glen Carbon Illinois, on April 6th at NWA Dynamo Pro Wrestling, the same area that champions like Lou Thesz, Harley Race, Ric Flair, Dory Funk Jr., Gene” Kiniski and Pat O’Conner defended the title. Pearce is now in his fourth title reign, and is better than ever. His experience, confidence and talent level is spectacular. We have heard reports that the contract has been signed, and as soon as we can verify the rumors we will let you know just exactly will have that golden opportunity to go down in the history books as a National Wrestling Alliance Worlds Heavyweight Champion. 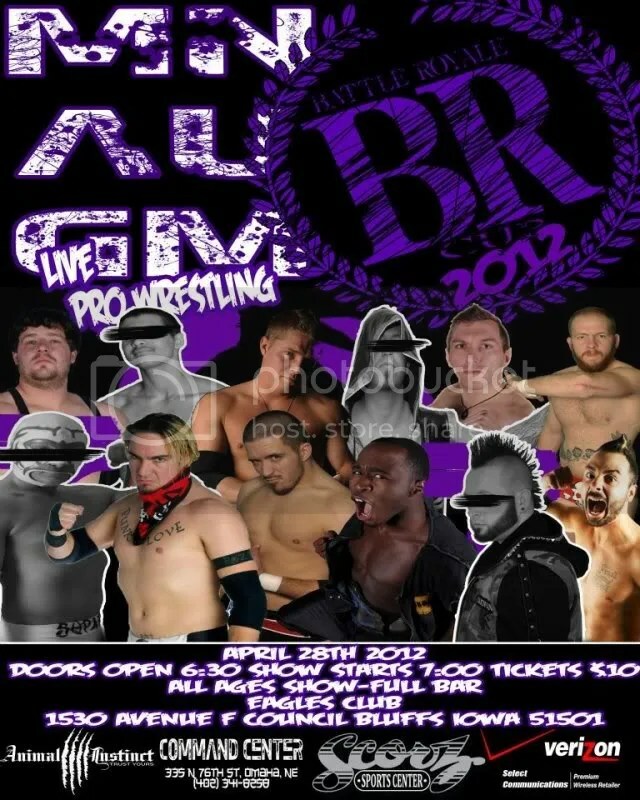 Mark your calendars, fans in the St Louis area, the NWA Title returns on April 6th, 2012. Abu Colossus is a mountain of a man. Standing at 6″5 and weighing 280 LBS, the Pro Wrestling Phoenix Champion not only brings power to the ring but uses his speed to electrify the crowd. As soon as his entrance music, Ludacris’s “Move”, hits the PA the fans go wild and his opponents know they will have their hands full. Abu has dominated the PWP ring for over three years while waiting to claim what he has always felt was rightfully his: the Pro Wrestling Phoenix Championship. 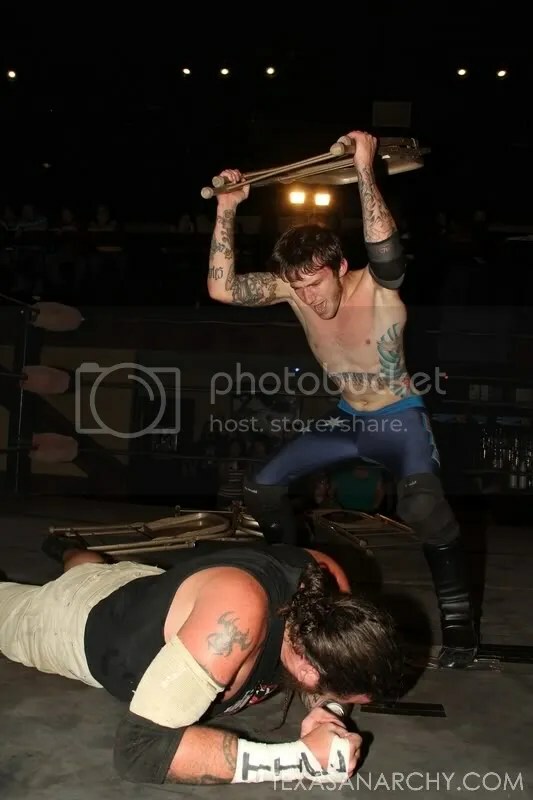 That goal was achieved on May 10, 2008 at PWP’s 3rd Year Anniversary Spectacular when he was able to defeat Babyface” Tony Cortez, Jaysin Strife, & “The Rebel” Jeremy Wyatt in a 4-way Elimination Match for the title. Tony Cortez will be the first to tell you that he was the longest reigning Champ with an amazing 20 months and that the belt will return around his waist yet PWP has claimed that we are in “The Era of Colossus”. Cortez and his partner in crime, Hype Gotti will pull out all stops to make sure that the Era is more like a Moment. Cortez and Gotti, once bitter enemies, now collectively known as Simply the Best, are sure to be a thorn in the side of the current champ. Abu grew up a wrestling fan and took special interests in the Bret the Hitman Hart along with Hall of Famer Ricky Steamboat. 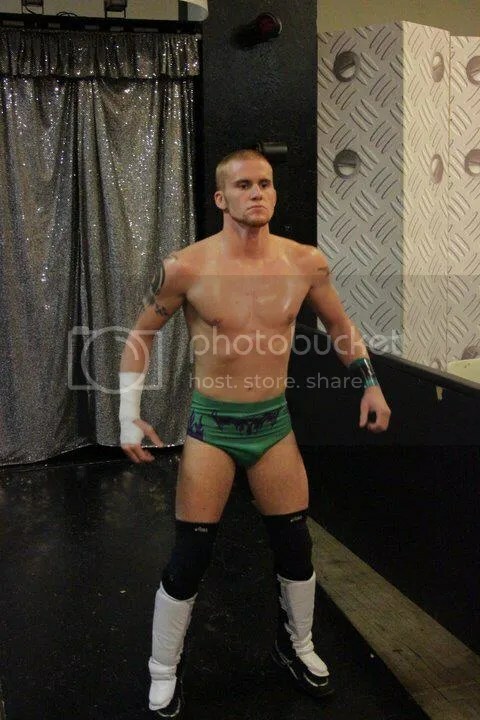 He was trained by “Irish” Mick Tierney and has worked hard building his reputation as one of the most respected wrestlers in the area. He also utilizes former ECW Champion Tazz’s suplex to punish his opponents along with signature moves the Two Handed Choke Slam and the Colossal Slam. 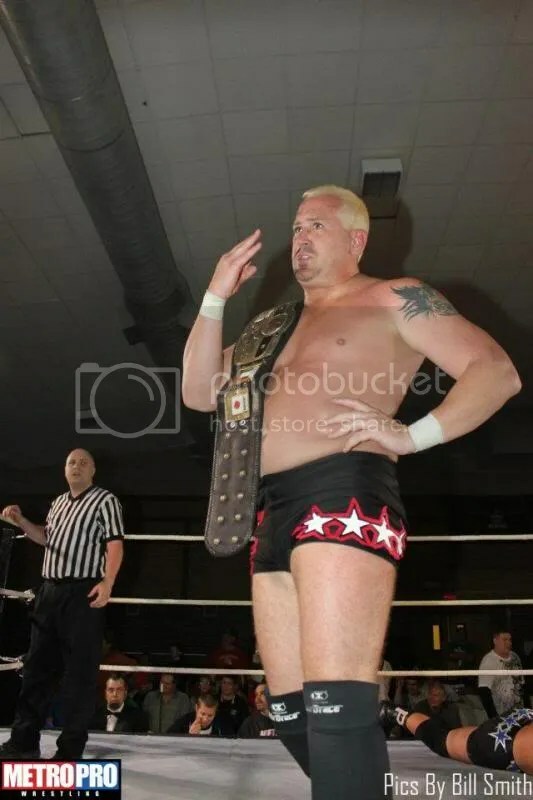 I was able to track down Independent wrestling’s best kept secret, Abu Colossus, the night before he would defend his title at Raising the Bar against the winner of the 2008 Phoenix Challenge, “Number One” Brett Young on August 16th in Council Bluffs, IA . When I asked him what his favorite matches were to this date, he was quick to say PWP’s December 9, 2006 Candy Cane Chaos match with Michael Strider that ended up in a double DQ. 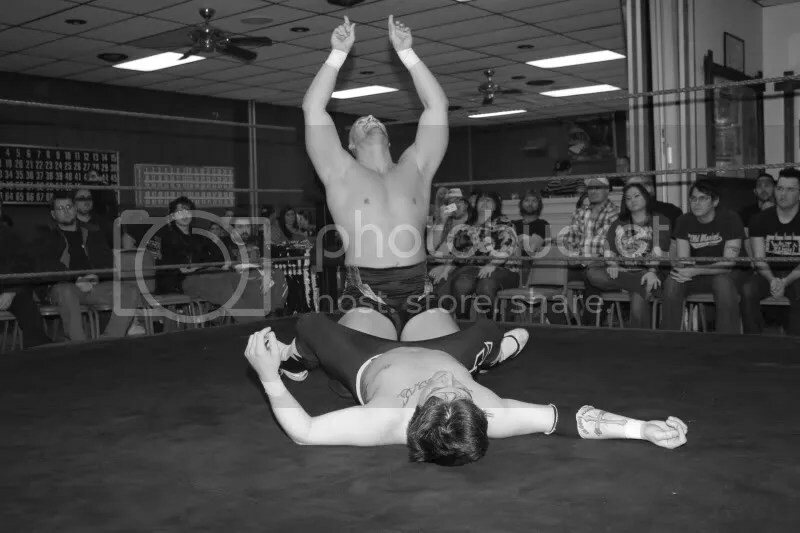 It was a match that took the big man to his limits and led to a dog collar match at PWP’S Year of the Phoenix . 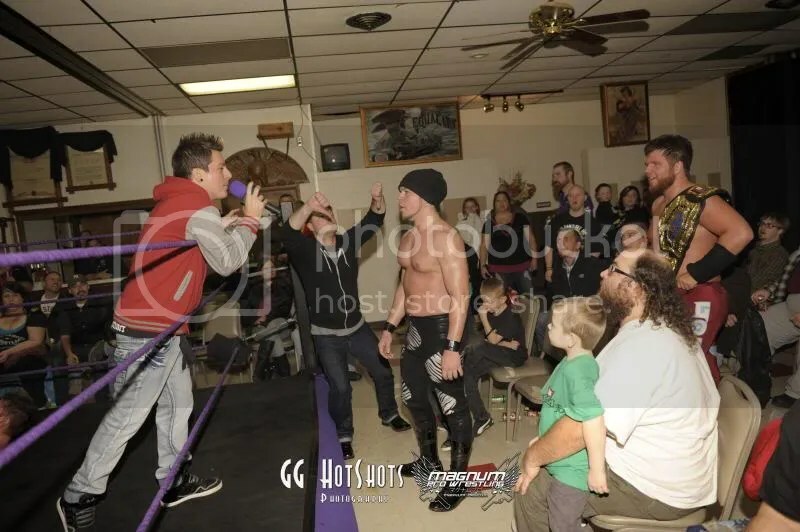 A Match with Mark Sterling on November 18th at PWP’S In Your Church was a close second as he feels Sterling is among the elite in the business. “Abu Colossus has a million dollar look and I knew every night that we wrestled that I had to bring my ‘A’ game. That guy is just starting to show his full potential”. Abu takes great pride in representing Pro Wrestling Phoenix and working with the upstart wrestling promotion Magnum Pro Wrestling. He looks forward to showcasing his skills with the best to prove to the fans in the Midwest that he is the standard that all wrestlers should be compared to. The names that he would like to work with on the national scene were TNA wrestler Abyss, Samoa Joe and Bryan Danielson. In the Midwest he would love to hook up with NWA/CSW Missouri Champion Dingo, Gage Octane, Brian Ash and Mitch Paradise. As a fan of Independent Pro Wrestling I look forward to seeing some of the best take on each other and there is no doubt that Abu Colossus should be in the sights of all promoters and would add to the show instantly. Love it or hate it, the truth of the matter is fans enjoy powerhouse wrestlers and they are few and far between in this area. 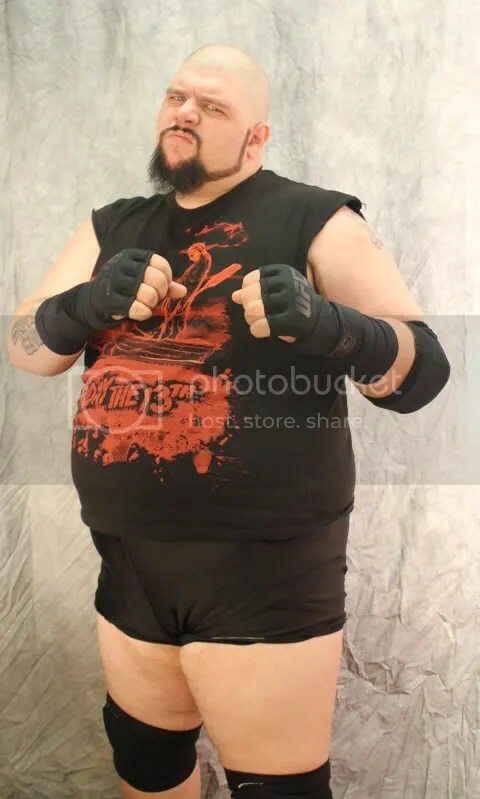 Abu is something special and I would love to see how 3XW Commissioner Todd Countryman and his men, Mark Sterling and Gage Octane would deal with this monster of a man. 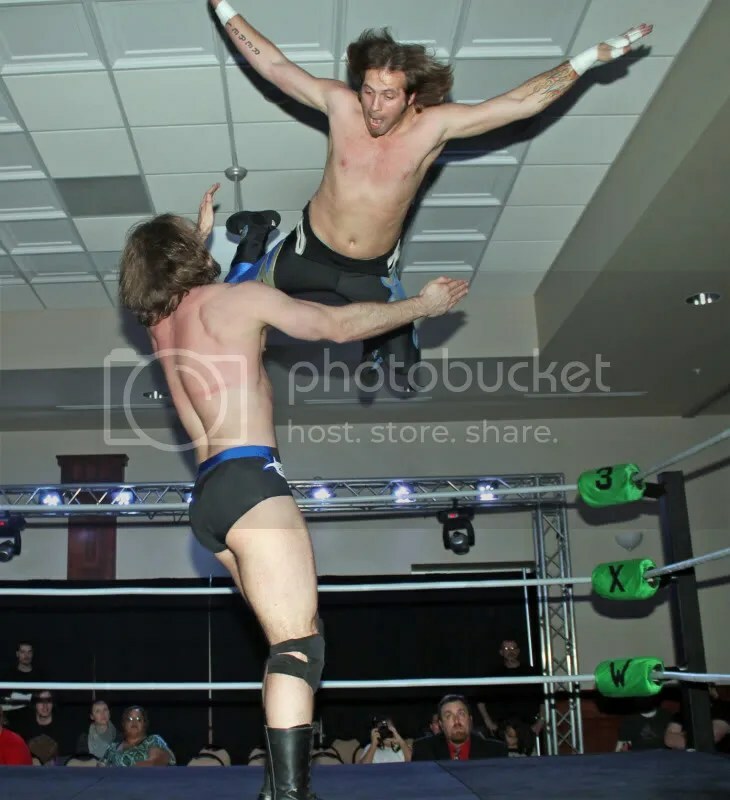 Maybe Casanova will need some assistance with 3XW Champion Devin Carter after turning on him at 3XW’S “On a Stick” show this past month. Central States Wrestling in Kansas has stated that they will be making a comeback soon and though the talent in the company is plentiful, Abu would be a force from the start, and the fan favorites could use a little help with the “In Crowd” or the Barrio Boys, two factions that have been terrorizing the fans and their favorites in the area. Let’s not forget that Lethal Wrestling Alliance president Luke Roberts is looking for a man that can defeat the Future Donovan Ruddick. Why not bring in an outsider to do their dirty work. Yet who knows maybe the Future will contact Abu to help him in his dominance of LWA, a combination that could prove unstoppable. Pro Wrestling Phoenix fans are fortunate to have one of the most exciting wrestlers in the Midwest as their champion and some big matches will be in Abu’s future with the very talented roster that PWP now boast to have in Number One” Brett Young, Jaysin Strife, Rebel” Jeremy Wyatt, Arya Daivari, The Anarchist” Arik Cannon, Mark Sterling, Tyler Cook and familiar foes Simply the Best gunning for the title.